Providing RICO with a limitations period, however, was not the end but the very beginning of the menacing problems that the Supreme Court faced with regard to RICO’s statute of limitations. The next immediate question that had to be answered was: when does the limitations period begin to run? When lawyers ask this question, they say: when does a RICO claim accrue? This was a far more difficult question for the Supreme Court to answer. The United States Courts of Appeals adopted three different accrual rules. The United States Court of Appeals for the Second Circuit was the first to consider the issue in Bankers’ Trust Co. v. Rhoades, 859 F.2d 1096 (2d Cir. 1988), cert. denied, 490 U.S. 1007 (1989). In Bankers’ Trust, the Second Circuit analogized RICO claims to medical malpractice claims that may give rise to latent injuries. For example, a physician may negligently leave a sponge in a patient during surgery, the sponge may not give rise to problems until years later when it becomes the source of an infection that otherwise would not have occurred. Under these circumstances, one cannot possibly charge the patient with an obligation to bring his malpractice claim before he had any reason to believe that malpractice occurred, i.e., before the forgotten sponge caused an infection. Likewise, in the RICO context, an employee may be taking bribes from a vendor and in exchange the employee may buy products (on behalf of his employer) from the vendor at inflated prices. The employer may not discover this bribe scheme until the employee’s personal taxes are audited by the IRS and the bribe payments are discovered and reported by the IRS to the employer. If the employer could not reasonably have discovered the inflated prices before the IRS audit, then he cannot be charged with an obligation to bring a RICO claim at an earlier date. In essence, the common law generally postpones the running of the statute of limitations until the plaintiff knew or reasonably should have known of its injury. The Second Circuit saw no reason to depart from this common law rule in the context of a RICO claim and, accordingly, adopted the common law “discovery of injury” rule as the accrual standard for a RICO claim. Because a potential plaintiff has not been injured under RICO until the pattern element has been satisfied, it is inappropriate to start the period before the pattern is fully developed.” [Citation omitted.] The simple discovery [of injury] rule mistakenly focuses upon injury – not “RICO injury.” Under the simple discovery [of injury] rule if a plaintiff suffers a single injury as a result of a predicate act but the second predicate act which establishes the necessary “pattern” occurs five years after the injury to the plaintiff, that plaintiff’s claim is barred by the four-year civil RICO statute of limitations. Yet the original damage to the plaintiff is not in fact a RICO injury until, at a minimum, the second predicate act establishes the necessary pattern. In such cases the purpose of the statute is defeated by the simple discovery [of injury] rule. Id. at 1134. In short, the Third Circuit was concerned that under the “discovery of injury” accrual rule, a RICO claim could accrue and the statute of limitations could begin to run upon a single act of racketeering that resulted in a single injury, even though a RICO claim can be brought only after a defendant engages in a pattern of racketeering activity. Thus, in the opinion of the Third Circuit, a RICO claim could be barred by the “discovery of injury” rule before the claim ever came into existence, i.e., before the defendant engaged in a pattern of racketeering activity. To avoid the perceived problems under the “discovery of injury” rule, the Third Circuit adopted the “last predicate act” rule, which postponed the running of the statute of limitations until the commission of the last predicate act that formed the pattern of racketeering upon which the plaintiff’s claim was based – regardless of when the plaintiff had knowledge of its injury resulting from the defendant’s racketeering. Id. 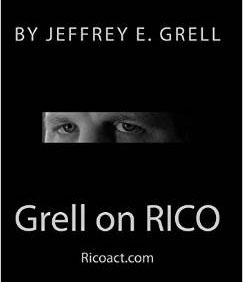 This tension between the common law’s traditional “discovery of injury” rule and RICO’s unique pattern of racketeering activity concept appeared to require a completely new accrual rule. A pattern of racketeering activity could last for decades, well beyond four years. Many courts were conflicted by an accrual rule that could bar a civil RICO claim because the plaintiff was aware of its injury four or more years before bringing its lawsuit – even though the defendants’ pattern of racketeering activity may have never ended and was still on-going at the time the suit was filed. Even more troubling was the prospect that, like the plaintiff’s injury, a pattern of racketeering activity could be concealed from the plaintiff, and without knowledge of the pattern of racketeering activity, the plaintiff could not file suit even if it was aware of its injury. For example, returning to the bribery scheme discussed above: what if the employer compared the prices it was paying to the bribing vendor to the prices being charged by other vendors and confronted the employee, saying: “why do we pay this vendor so much – other vendors will sell us the same thing for a lot less.” The employee receiving the bribes responds: “yes, we are paying a little more but this vendor provides such a high degree of service that it’s worth it – anytime we need something, they deliver it immediately; these other vendors may charge less but do we want to risk shutting down the production line if they don’t come through?” At this point, the employer is clearly aware of its injury, i.e., is aware that the employer is paying higher than market prices to the bribing vendor, so under the simple “discovery of injury” rule, RICO’s statute of limitations could begin to run. On the other hand, however, the employer is completely unaware of the pattern of racketeering activity; the employee receiving the bribes has provided a reasonable (although untrue) explanation for paying the higher prices. In truth, the employer is paying the vendor’s higher prices because the employee is being bribed. Without knowledge of this truth, the employer lacks knowledge of the facts necessary to allege a pattern of racketeering.
. . . with respect to each independent injury to the plaintiff, a civil RICO cause of action begins to accrue as soon as the plaintiff discovers, or reasonably should have discovered, both the existence and source of his injury and that the injury is part of a pattern. Id. at 1554-55. Thus, with regard to our bribery scenario, under the “discovery of injury and pattern” rule, the employer’s RICO claim would not have accrued merely upon his discovery that the vendor was being paid above-market prices. The accrual of the employer’s RICO claim would have been postponed until he discovered or reasonably should have discovered the bribe scheme. Once the bribe scheme was discovered, however, the employer would have only four years to file his claim. Whereas under the “last predicate act” rule, the employer could theoretically sit back after discovering the bribe scheme and allow it to continue for several more decades, knowing that his civil RICO claim would be timely so long as it was brought within four years of the last act of bribery. The Eleventh Circuit’s remedy seemed to be a reasonable solution to the unique accrual issues presented by civil RICO claims. Given that Keystone’s “last predicate act” rule indefinitely allowed a plaintiff to sit on its rights and refrain from bringing a cause of action for so long as the defendant engaged in acts of racketeering, the rule was never adopted outside of the Third Circuit. The Second Circuit’s “discovery of injury” rule and the Eleventh Circuit’s “discovery of injury and pattern” rule, however, were adopted by almost an even number of federal circuit courts of appeal. The United States Supreme Court was thus required to step-in and resolve the conflict. We conclude that the Third Circuit’s rule is not a proper interpretation of the law. We have two basic reasons. First, . . . the last predicate act rule creates a limitations period that is longer than Congress could have contemplated. Because a series of predicate acts . . . can continue indefinitely, such an interpretation, in principle, lengthens the limitations period dramatically. It thereby conflicts with a basic objective – repose – that underlies limitations periods. [Citation omitted.] Indeed, the rule would permit plaintiffs who know of the defendant’s pattern of activity simply to wait, “sleeping on their rights,” . . . as the pattern continues and treble damages accumulate, perhaps bringing suit only long after the “memories of witnesses have faded or evidence is lost.” [Citation omitted.] We cannot find in civil RICO a compensatory objective that would warrant so significant an extension of the limitations period, and civil RICO’s further purpose, encouraging potential plaintiffs diligently to investigate [citation omitted], suggests to the contrary. Second, the Third Circuit rule is inconsistent with the ordinary Clayton Act rule, applicable in private antitrust treble damage actions, under which “a cause of action accrues and the statute begins to run when a defendant commits an act that injures a plaintiff’s business.” [Citation omitted.] . . . We do not say that a pure injury accrual rule always applies without modification in the civil RICO setting in the same way that it applies in traditional antitrust cases. Id. at 187-88. In Klehr, the Supreme Court went no further than to reject the “last predicate act” rule and left for future consideration the issue of whether the “discovery of injury” rule or “discovery of injury and pattern” rule was more appropriate. As stated above, the majority in Klehr noted that the Clayton Act’s accrual rule focused on the time of injury. The Clayton Act’s outlook on accrual was important because Congress essentially borrowed RICO’s civil remedy provision from the Clayton Act. The Clayton Act, however, does not postpone accrual until discovery of injury, rather a claim accrues upon injury – regardless of whether a plaintiff is aware of the injury. Given the nature of antitrust injuries, however, it is rare that a plaintiff is not immediately aware of the injury giving rise to an antitrust claim. The majority never suggested that a pure injury accrual rule should be applied to civil RICO claims. In his dissent, Justice Scalia argued that if the Supreme Court was going to borrow the Clayton Act’s statute of limitations (a decision that Justice Scalia disagreed with, believing it was appropriate for Congress, not the courts, to remedy RICO’s missing statute of limitation problem), then it was only logical that the Clayton Act’s accrual rule should also be applied. Although the Clayton Act’s accrual rule presents a fourth alternative, none of the circuit courts have applied the Clayton Act’s accrual rule despite Justice Scalia’s persuasive dissent in Klehr. Federal courts, to be sure, generally apply a discovery accrual rule when a statute is silent on the issue, as civil RICO is here. [Citation omitted.] But in applying a discovery accrual rule, we have been at pains to explain that discovery of injury, not discovery of the other elements of the claim [e.g., pattern], is what starts the clock. In sum, any accrual rule softened by a pattern discovery feature would undercut every single policy we have mentioned. By tying the start of the limitations period to a plaintiff’s reasonable discovery of a pattern rather than the point of injury or its reasonable discovery, the rule would extend the potential limitations period for most civil RICO cases well beyond the time when a plaintiff’s cause of action is complete . . . .
Id. at 555, 559. Theoretically, the Clayton Act’s injury accrual rule continues to remain an accrual option in the wake of the Klehr and Rotella decisions, but no circuit court has ever embraced it. Rather, Rotella has effectively resolved the conflicting accrual rules among the circuit courts in favor of the “discovery of injury” accrual rule. See Limestone Development Corp. v. Village of Lemont, Illinois, 520 F.3d 797, 801-802 (7th Cir. 2008) (stating that RICO’s statute of limitations begins to run upon discovery of the injury and that plaintiff was aware of its injury by defendants in 1993 and, at the latest, knew it was being injured by a pattern of racketeering by 2000; the court held that the plaintiff had no excuse to wait until 2006 to bring suit); Cory v. Aztec Steel Building, Inc., 468 F.3d 1226, 1234 (10th Cir. 2006), cert. denied, 127 S. Ct. 2134 (2007) (plaintiff claimed he was injured when he purchased a defective building and replacement parts in 1993, 1995, and 1996; plaintiff was aware of this injury in June 1999 when his second building collapsed, yet plaintiff failed to file his RICO claim within four years of the collapse; plaintiff’s claim was barred under either the injury accrual rule or the discovery of injury accrual rule). The application of RICO’s accrual rule is reasonably predictable in cases where a plaintiff has actual knowledge of injury, which triggers the running of the statute of limitations. The accrual rule is less predictable in cases where the plaintiff reasonably “should have known” of the injury but failed to bring suit within four years. As a general matter, the limitations period does not begin to run until a plaintiff knows or should have known of its injury. Koch v. Christie’s Int’l PLC, 699 F.3d 141, 151 (2d Cir. 2012). A plaintiff is said to be on “inquiry notice” as of the date when he or she “should have known” of their injury. According to the Second Circuit, RICO’s statute of limitations runs even where the full extent of the RICO scheme is not discovered until a later date, so long as there were “storm warnings” that should have prompted an inquiry. Id. Such storm warnings need not detail every aspect of the alleged fraudulent scheme. Id. ; see also Robert L. Kroenlein Trust v. Krichhefer, 764 F.3d 1268, 1278 (10th Cir. 2014) (a RICO plaintiff need not have actual knowledge of exactly who committed the RICO predicate act resulting in the injury for a civil RICO claim to accrue). Rather, such storm warnings are sufficient where, a person of ordinary intelligence would consider it probable that fraud had occurred. Koch, 699 F.3d at 151. Other circuits have held that once a plaintiff has inquiry notice of facts that would suggest to a reasonable person that he has been injured, the plaintiff has a duty to commence a diligent investigation concerning that injury. Krichhefer, 764 F.3d at 1280. In Koch, the plaintiff received a report on October 16, 2000 that put the plaintiff on inquiry notice that he may have purchased counterfeit goods, but the plaintiff did not begin to investigate the matter until 2005. Koch, 699 F.3d at 153. Thus, the plaintiff’s claim, filed on March 30, 2010, was barred because it was not brought within four years of the plaintiff receiving inquiry notice. Id.